Their debut album is an extremely accomplished slice of lo-fi garage rock with an unswervingly upbeat sound, all delivered with boisterous energy and edge. It’s going to be impossible to avoid the Pavement comparisons here because Mazes have an uncannily similar ability to be memorable yet light-hearted. The fact is that A Thousand Heys is the sort of record that you want to create memories to or that will remind you of a particular era in your life, just as Crooked Rain or Brighten the Corners have done before. It’s the kind of record that will automatically make you think of long summers and road trips in the sunshine with your mates. There are also noises of a different era incorporated in here somewhere…some uncooked 90’s Brit pop and some 60’s beach bum sounds; but A Thousand Heys is not unoriginal or boring. In fact it’s clear that Mazes are very technically gifted (check out the prog rock outro on ‘Wait Anyway’ if you don’t believe me) and also have a consummate grasp of melody; my particular favourite being that of ‘Bowie Knives’ which is totally addictive and quirky. The lyrics are witty and unruly -“I want to be a slob, and sit at home without a job” on the somewhat aptly (and ironically) titled ‘Summer Hits’ – and the entire album has a real laidback quality to it. A Thousand Heys has all the quirks, creativity and invigorating qualities of a debut album, with all the masterly musicianship and writing talents of band that sound like they’ve been recording for years. 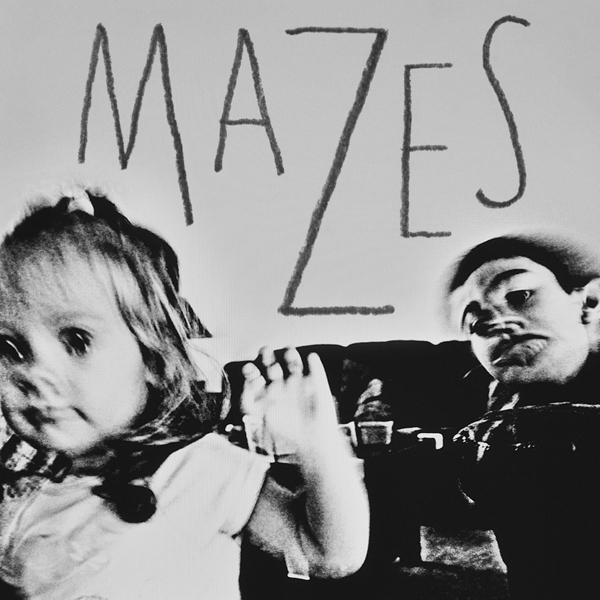 Mazes are virtually reanimating the cold cadaver of indie rock right in front of our ears. I’m going to play this record over and over again until everyone I live with hates me. Posted in Garage, Indie, New wave, Overgushing idiot who thinks he/she can review, Proper Rock, rantTagged A Thousand Heys, Bowie Knives, FatCat, Mazes, Pavement, Wait AnywayBookmark the permalink.